The Rubik’s Cube (originally called the Magic Cube, before it was released worldwide in 1980) was created in 1974, as a way for Rubik to help explain three-dimensional geometry. At the time, Rubik was only 29 years old, but was already a sculptor and architecture professor. 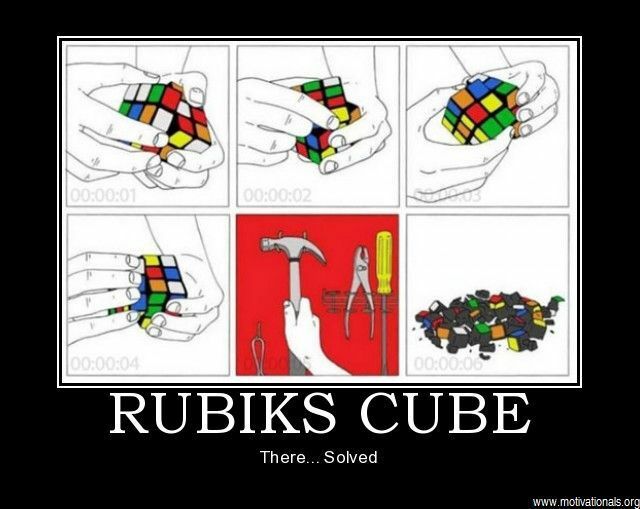 When Rubik’s had created his cube, it took him a month to solve for the first time. Later, Rubik could solve his own puzzle in under a minute, which he showed off at trade shows. More than 350 million Rubik’s Cubes have been sold around the world and thanks to these sales, it is the best-selling toy of all-time. After its international release, it won Toy of the Year honours in 1980 and again in 1981. 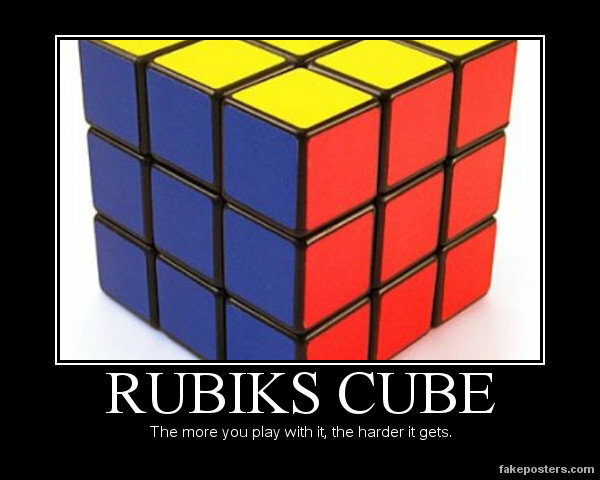 The popularity of the toy bred the first annual International Rubik’s Championships in 1982, which was won by Minh Thai of the U.S. with a time of 22.95 seconds. A World Cube Association was created in 2004 to govern international competitions and chart world records. The Rubik’s Cube can be solved in 20 moves or less, regardless of how it’s mixed up. This has created an entire sub-genre of speed cubers. These folks can solve the Rubik’s puzzle in under six seconds. All this, despite the fact that the toy has 43,252,003,274,489,856,000 (into the quintillions) possible patterns. A guide to solving the Rubik’s Cube was created by a 12-year-old, Patrick Bossert of England, in 1981 and went on to become a best-seller, with 1.5 million copies sold. 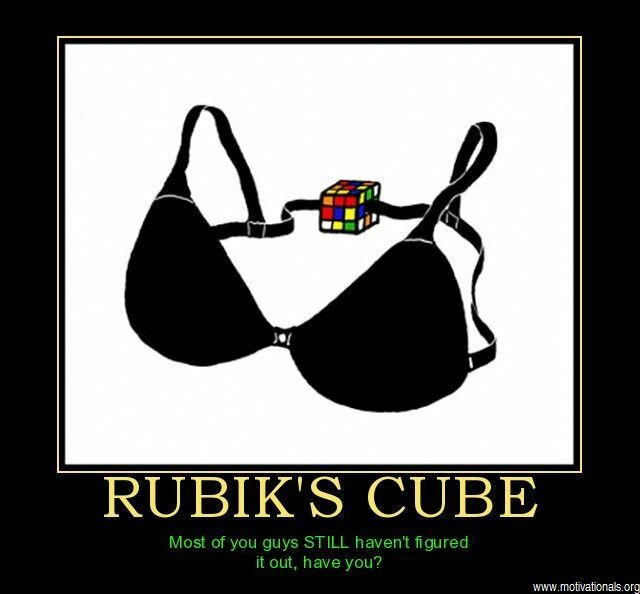 The world record for fastest completion to the Rubik’s Cube is held by Mats Valk of the Netherlands. He solved the puzzle in 5.55 seconds, beating the previous best time of 5.66 seconds. A smartphone-powered Lego robot, known by the name CubeStormer 3, solved a Rubik’s Cube in 3.253 seconds, blowing away all the competition. These are the robots who will one day take over the world, pissed that they were made to endlessly solve puzzles. Within the world of speed cubing, there are those not happy to simply solve the puzzle quickly. Some competitors take things to whole new levels of insanity, like one guy who did one-handed push-ups, while only taking 25 seconds to complete the challenge. Another fella solved the Rubik’s Cube in 23.80 seconds… while blindfolded! Perhaps most intimidating is the three-year-old Chinese toddler who was done with the toy in under two minutes. You just knew a toy like this would have entries in the smallest, largest, and most expensive categories. The smallest is 1omm wide and was designed by Evgeniy Grigoriev of Russia. The largest can be found in Knoxville, Tennessee and measures three metres tall, weighing in at over 500kg. As for most expensive, it was created by Diamond Cutters International in 1995. Dubbed the ‘Masterpiece Cube,’ it features amethyst, rubies, and emeralds, all set in gold and valued at $1.5 million. If you simply can’t put the device down, you may be a Cubaholic (and that doesn’t mean you like taking frequent trips to Cuba or chain-smoking fine cigars). A documentary, titled Cubers, was released in 2008 and followed the lives of some of those afflicted with the compulsion as well as those competing for the title of World Rubik’s Cube Champion. The Rubik’s Cube has been featured in numerous areas of popular culture, including: movies, TV shows, comics, music videos, songs, art, and museum exhibits. Seeking to take advantage of the toy’s popularity, a Saturday morning cartoon debuted in 1983, called ‘Rubik, The Amazing Cube’ and featured a sentient Rubik’s Cube, who could come to the aid of a Hispanic family. It only lasted one season and 18 episodes and starred Ron Palillo (aka Arnold Horshack) as the titular toy. Thanks to working on this article, I’m adding “Solve a Rubik’s Cube” to my lifetime bucket list and it may eventually be what does me in (despite the current odds favourite in Vegas being alcohol-induced bungee accident), but I will achieve this feat! This drink was just too sweet… and not in the New World Order wrestling way. The flavours were nice, but some changes need to be made to the recipe to make it a little more likable and evened out.